Brookfield Hills Golf Course opened in 1971. 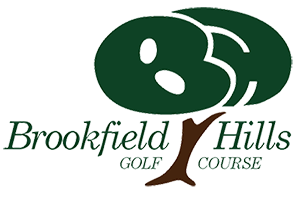 Brookfield Hills Golf Course has matured into a beautiful track with tall deciduous and pine trees, ponds and Deer Creek on the back nine. Our 18 holes provide a variety of challenges. Primarily level terrain with knolls and slight hills surround many of the fairways. However, the ponds, flowing creek and well-placed bunkers create some difficult situations. Large greens are a forgiving aspect to this course. There is a time, at dusk, where the sun makes the grass look like green velvet. It is a beautiful sight!